When your home or business has been impacted by water damage, we understand that you need help and you need it fast. 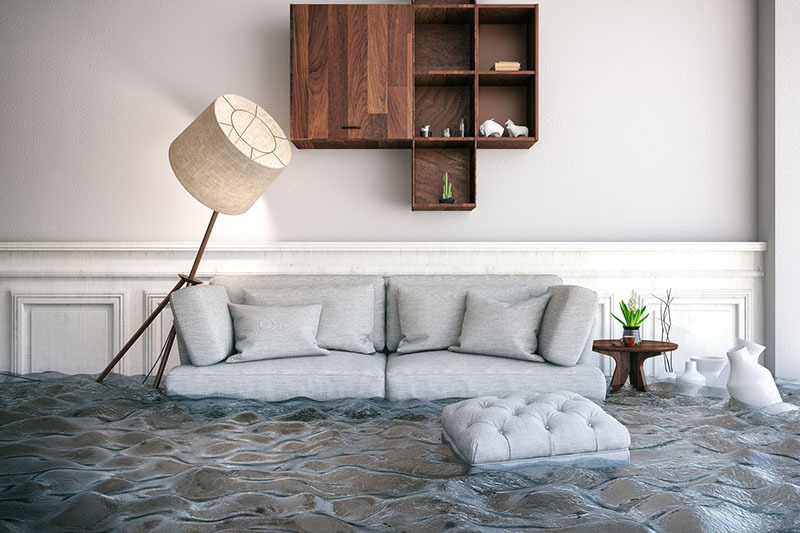 At Bravo Restoration, our experienced team of water damage professionals are on-call 24/7 and will respond and act quickly to minimize the damage and dry your property. Our friendly and helpful staff know that any water damage disaster is a stressful situation and will help walk you through the entire process to ensure your property is cleaned up and restored as quickly as possible. From the initial call for help to working with your insurer until the job is complete, our team is here to help. Need to talk to someone immediately? Call us 24/7 at 707-837-0675. Where do you think the water is coming from? Is there an extensive amount of contents in the affected areas? How many stories/floors are there? Is the property located on a foundation or crawlspace? If a roof tarp is needed, what type of roof? That should be enough information to give our technicians to get a head start on the drying process. 1. Work Authorization. When our technicians arrive at your home or business, they will have you show them the affected areas and explain what has happened. The technician will then have the property owner sign a work authorization allowing us to perform the necessary emergency services. If being paid by insurance, the property owner agrees to allow the insurance company to pay Bravo directly for our services. 2. Stop the Intrusion. Once the work authorization is signed, the technician will determine the extent of damage, how the water is entering the property, and if there is a permanent or temporary solution to stop the water intrusion. This may involve shutting off the water supply or covering the roof with a tarp. 3. Begin the Drying Process. Once the water has been stopped, the technician will remove any porous materials that have a hard time drying or cannot be dried at all (insulation, carpet pad, drywall, vinyl, particle board, some laminates, etc.). After all the necessary demo has been completed we will set up equipment to dry the substrate materials and/or non-porous materials. 4. Monitor Equipment and Humidity Levels. The equipment will need to run continuously and will be monitored daily by our technicians. It is very important that the equipment is not turned off as this will extend the amount of time necessary to properly dry your property. Our goal is to dry your property as quickly as possible, but this can take several days depending on the extent of the damage. 5. Make Repairs. After the drying process is complete, we will make any repairs to return your property to pre-loss condition. If flooring materials, drywall, or insulation have been removed, they will be replaced during this stage. Once your property is restored, we will remove all the equipment and leave your property in pre-loss condition or better. For answers to common questions, please see the Water Damage FAQ. We take great care of our Northern California neighbors, and when disaster strikes we are here for you. 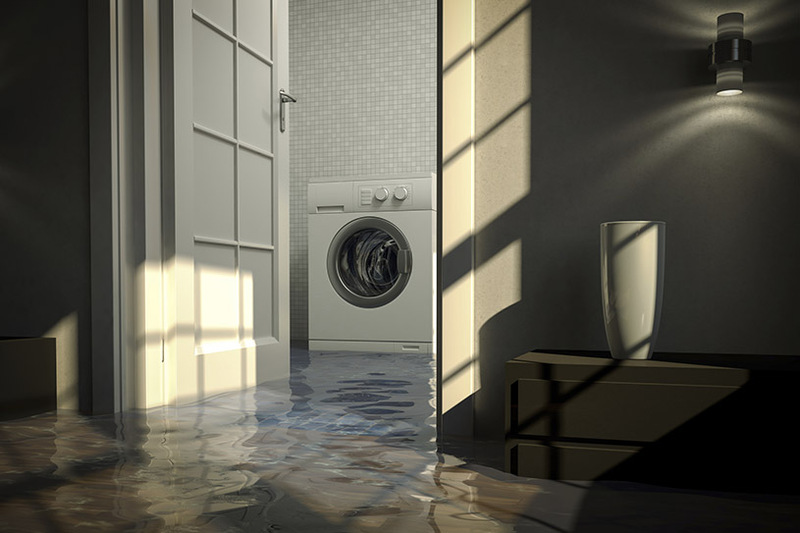 If you have water damage in your home or office, do not hesitate to call Bravo Restoration. Our team is on call 24/7 and will act fact to significantly mitigate the damage and restore your property as quickly as possible. We sincerely hope you never have to use our service — but if you do, we’re here to help. 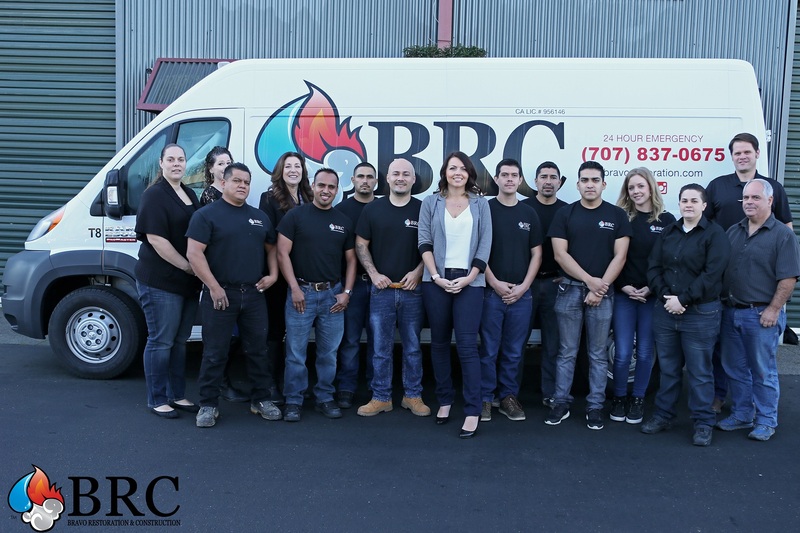 Get in touch with Bravo Restoration & Construction at 707-837-0675 to speak with one of our expert staff any time, day or night.